Mark Bailey grew up in Utah, California, and Florida before returning to Salt Lake City to study engineering and finance at the University of Utah. After a career in investment management, he co-founded Torrey House Press in 2010 to promote conservation through literature. He stepped down from the board of Wild Utah Project in 2017. Mark is an amateur astro-photographer, cross-country and downhill skier, private pilot, and avid reader. He has two grown children and lives with his wife, Kirsten Johanna Allen, in Salt Lake and Torrey, Utah. Ralph is a specialist in natural resource and environmental policies and politics. He is not a biologist. He was born, raised and has lived in Utah and Idaho his entire life. He has many years experience in Western public land and environmental issues. Maughan has written several hiking guidebooks in addition to academic books and articles. Kelley is the co-owner of Native Landscapes a company founded to design and build beautiful, sustainable outdoor environments. Native Landscapes is an award-winning leader in understanding, creating and establishing environmentally appropriate landscapes. 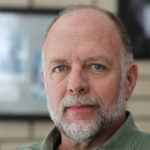 George Wuerthner is an ecologist and author. He has published 36 books including Welfare Ranching: The Environmental Consequences of Public Lands Ranching and, most recently, Energy: Overdevelopment and the Delusion of Endless Growth (Island Press). George studied both wildlife biology and botany as an undergraduate at the University of Montana.